Sacred Games Season 2 Release Date & Cast: Will There Be Another Next Installment On Netflix? Sacred Games season 2 is a possibility after getting much appreciation with the release of its first season on July 6, 2018, Friday. Sacred Games is the first Indian original Netflix series. Here’s everything (release date, trailer, cast, etc.) we know so far about the next installment of the series. Will there be Sacred Games season 2 on Netflix? 1 Will there be Sacred Games season 2 on Netflix? 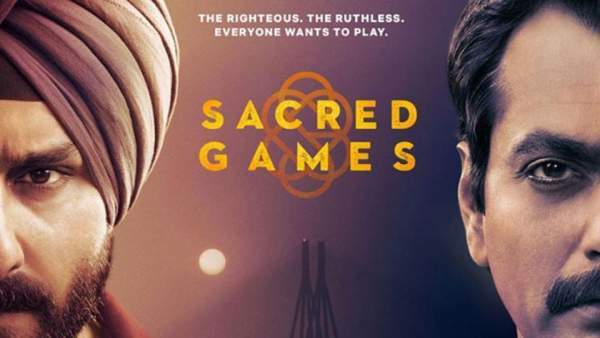 2 What is the Sacred Games season 2 release date? 4 Who will be in Sacred Games season 2? Cast? The streaming service, Netflix has made an announcement yet about the season two of SacredGames. But, it is looking promising and has a great potential to do wonders in India. The Netflix series is an adaptation of the novel which goes by the same name and written by Vikram Chandra. The story of the season one is taken from the first quarter of the novel and is based in Bombay (present time Mumbai in India). Going by such a partition, the novel should get completed in four seasons. Making the second installment will be based entirely on how the show attracts Indian and worldwide viewers to Netflix. The audience of Netflix and small screen in India has been growing rapidly. To make the full profit out of it, the streaming service is thinking to provide an alternative option to Bollywood movies. Erik Barmack, the VP of international originals also accepted the same. Barmack said that they are experiencing India as the biggest and fastest investment in content for any country they have launched a project in. After the release, all the eight Sacred Games episodes are available on Netflix to be streamed and downloaded. What is the Sacred Games season 2 release date? So far, Netflix hasn’t officially revealed the premiere date for the second season of the series. As we know, there has been only one installment. Without any history of the show and official details, we can’t predict the production details. But, actor Saif Ali Khan who portrays the character of police officer Sartaj Singh said that season 2 shooting will commence in September 2018 itself. Khan has been booked with the show until 2020. He seems excited about it and said that they should release one season every year. With the renewal of the series, the crime drama will see Sartaj Singh fighting against crime and corruption in India. In the first installment, Sartaj got an anonymous phone call which warned him to save his city in the next 25 days. With that phone call, the police officer gets to know about the missing criminal Ganesh Gaitonde played by Nawazuddin Siddiqui. The eight episodes cover the next 25 days. The story shows the rise of Gaitonde in the 1980s and investigator Singh chasing him in the present day. In the final episode titled ‘Yayati,’ Sartaj is still chasing the truth and it ends on a huge cliffhanger. Who will be in Sacred Games season 2? Cast? There has been no official word on the star cast. So, we don’t know who will return for a potential new season of Sacred Games. It is being expected that the cast of Bollywood actors contributed to the hype surrounding the show will all return. Saif Ali Khan plays a troubled police officer turned hero. After getting the call, Sartaj is ostracised by his fellow colleagues as there didn’t agree with the corruption in the police. Nawazuddin Siddiqui stars as Ganesh Gaitonde, a notorious criminal who Sartaj targets. Radhika Apte plays Police Analyst, Anjali Mathur. SacredGames is available to watch online on Netflix. waiting for Sacred Games season 2 !! !